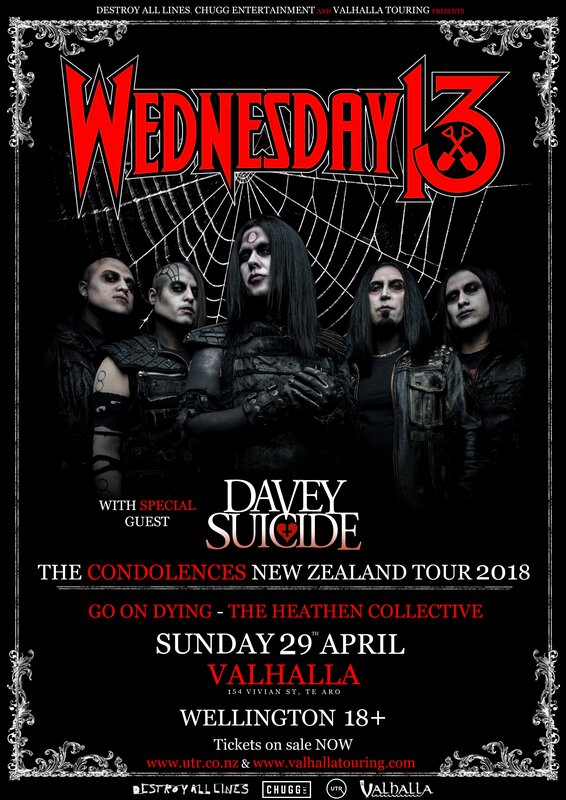 Get a double dose of Shock Rock as WEDNESDAY 13 and DAVEY SUICIDE join forces to bring their devilish goodness to New Zealand for the very first time. A grimly glamorous ghoul who first slithered from the cobwebbed shadows of Charlotte, North Carolina, in the early 90s, WEDNESDAY 13 has firmly established himself as the world’s premier purveyor of balls-out horror punk insanity. With a vivid and vile imagination that has endeared him to countless fans of riff-driven macabre over the last two decades, he has been one of rock’s most prolific protagonists, spreading his credo of grave-robbing rock ‘n’ roll and Hallowe’en debauchery around the globe and unleashing a seemingly endless stream of blood-spattered albums and EPs. 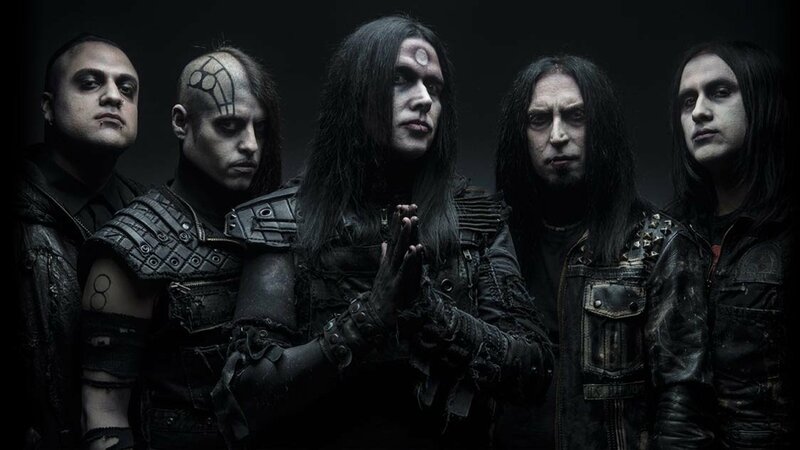 However, absolutely nothing that WEDNESDAY 13 has created in the past has even touched upon the horrifying potency and allure of his recent studio album, ‘Condolences’ and the future is looking dark, dangerous, exhilarating and wildly, apologetically theatrical. Formed in 2010, DAVEY SUICIDE played a few shows in Hollywood, California before garnering the attention of a couple labels and the former manager of Linkin Park. After releasing 2 albums the band took a break for a few years only to reappear with 2017’s ‘Made From Fire’ and critics and the public have been raving over the comeback album. 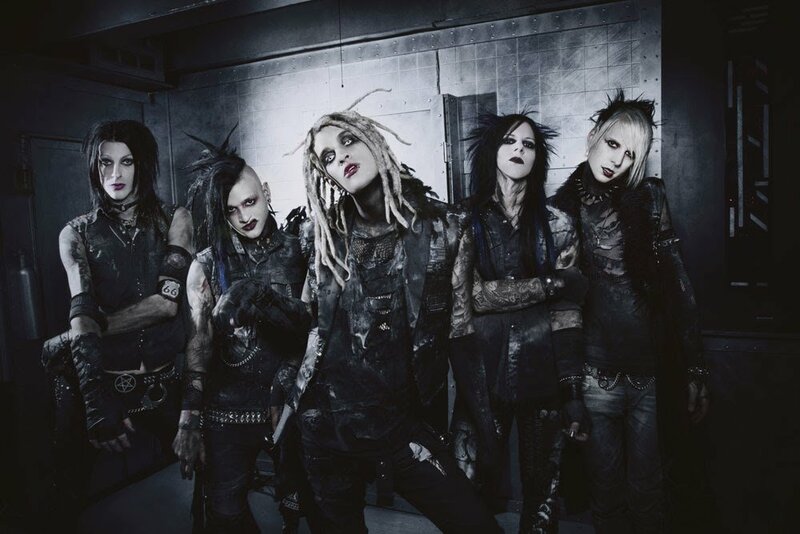 ‘Made From Fire’ incorporates the anarchistic bite of vintage Marilyn Manson with the stadium feel of Bring Me The Horizon and the epic melodies courtesy of In This Moment. Join us at Valhalla for this exclusive show which clawed it’s way out of the grave to reach NZ.